With October slipping away, November promises more than a blessed end to the longest presidential campaign in history, it also ushers in the start of the holiday season. Before you go crazy spending your share of the government bailout bounty (sorry, I lost my head), join me in reviewing goals made at the dawn of 2008. Did you complete your book, I asked myself? Yes and no is my answer. Did you send out query letters to agents and publishers? Oh boy, did I. Did you get published? 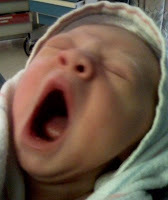 Yep, Windrusher number 3 came bouncing out of the oven in August. Did you sign up for the FWA conference? You have to ask? If you didn't reach all of your goals, don't despair as there are still two months left in the year. Keep working your plan and planning your work as the sales people like to say. FWA can certainly help keep you on track with motivating and educational meetings, and next month's big conference. This will be my last plug for the conference (or maybe not), but it's approaching fast so time is running out to register. There are dozens of outstanding workshops and presenters during the November 14 - 16 conference, including agents, editors and publishers. All of the Friday morning signature workshops are now included in the one fee, and, of course, there's the Royal Palm Literary Awards Banquet on Saturday night. Go to the FWA website for details. FWA chapters are springing up faster than I can keep up with them. Five new groups have come on line in the last six weeks, including groups in Crawfordville (near Tallahassee), Gainesville, Celebration, St. Lucie, and Ocala. The Ocala group is led by Lucy Beebe Tobias, author of 50 Great Walks in Florida, and a speaker at our Ponte Vedra Writers chapter several weeks ago. Good luck to all the new group leaders as they do their part as "Writers helping writers." I'm sure there will be more groups added soon since FWA continues to grow and prosper. River City Writers meet on the second Tuesday of the month at 7:00 p.m. the SE Branch Library on Deerwood Park Blvd. However, there will be no meeting that night due to the room not being available that day. Look for them to resume on December 9 with creative writing instructor John Boles discussing character development. For information, contact group leader Darlene Myers at dfm1973@comcast.net or visit their blog. St. Augustine's Ancient City Writers chapter reprieves Sandra McDonald's talk on Implied Author/Implied Reader. Sandra spoke at the Ponte Vedra Writers group meeting last weekend on the same subject. If you missed her excellent presentation, this is your chance to catch it. Be there on Saturday, November 15 at 10:00 a.m. at St. Augustine's Main Library. In December, they'll meet on the 6th because of the Christmas holidays. The special program includes a panel discussion and book sale. Contact Jeff Swesky at sweskys@comcast.net or visit the Ancient City Writers Blog. To the north is the Amelia Island Writers Group, meeting on Tuesday, November 18 at 6:00 p.m. at Fernandina's Beach's Florida House Inn. Maggie deVries leads this group and she can be reached at maggie1948@yahoo.com. And to round out our regional meetings, my Ponte Vedra Writers group is going on a two month hiatus due to conflicts with the holidays. But we're coming back strong in the new year with some exceptional programs. Look for more information soon. First Coast Christian Writers meet each Thursday at 6:45 p.m. in room 207 at Christ's Church on Greenland Road. Chapter President is Lorraine Haataia. First Coast Romance Writers meet at 11:00 a.m. on the 2nd Saturday of the month at the West Regional Library on Chaffee Road. Florida Sisters in Crime has just changed their meeting date to the third Saturday of the month at 10:30 a.m. at the SE Regional Library. North Florida Writers meets at 2:00 p.m. on the second Saturday of every month at the Webb Westconnett Library. Society of Children's Book Writers & Illustrators (SCBWI) meets on the third Saturday of each month from 1:00 to 3:00 p.m. at the SE Regional Library. Contact Janet Walter at jgwalter@comcast.net. What else is going on in the area? In case you didn't see it, The Florida Times-Union announced their annual Holiday Short Story Contest. The deadline is 4:00 p.m. Friday, November 21 and it needs to be no longer than 1,000 words. A new wrinkle this year is the "shoebox" format. All stories must incorporate the following words or phrases at least once within the body of the story: nog, wreath, mistletoe, blizzard, kazoo, gingerbread, family, Alabama, puppy, stocking, roller coaster and Kermit the Frog. Sounds like fun. Read all the details online at the TU's website. And if you're into contests, check out Poets & Writers site for a comprehensive listing of contests for poets, novelists and short story writers. It also includes announcements of available grants and fellowships for writers. "If you're a singer you lose your voice. A baseball player loses his arm. A writer gets more knowledge, and if he's good, the older he gets, the better he writes." "I want to learn more about how to be a better writer, but I'm not sure if these meetings will help me." The woman on the other end of the phone had called asking about attending our next FWA Chapter meeting after seeing a notice in the newspaper. She wanted to know more about FWA and "what was in it for her." I told her of the benefits of FWA, of the various chapter meetings throughout our region with stimulating speakers, of the networking and motivation the meetings provided. I told her of The Florida Writer magazine, of the annual conference and the mini-conferences and Lighthouse Book Awards. After five minutes of conversation, she decided that FWA sounded like what she was looking for to get her writerly juices flowing. And as I spoke, it reinforced to me the value of FWA and how much it has helped me personally in my writing career. If you feel the same way, I hope to see you at one of the meetings or at the November Conference in Lake Mary. Remember you have to be a member to attend the annual conference, so if it's time for you to renew, this is the time to do it. Go to the FWA website for details. Monday, October 13 at 6:30 p.m. – Bestselling international thriller author Steve Berry speaks at the Ponte Vedra Library as part of the FOL's Book Talk Cafe program. Steve will be discussing his latest thriller, The Venetian Betrayal, and give us a preview of his December release, The Charlemagne Pursuit. In The Venetian Betrayal, Cotton Malone, the former U.S. Justice Department agent turned rare book dealer, chases after a miraculous healing serum supposedly buried with the remains of Alexander the Great. Berry, who lives on the SE Georgia coast where he practiced law until very recently, has seen his last four books debut on The NY Times Bestseller list. He was recently a Guest of Honor at the Amelia Island Book Festival. Tuesday, October 14 at 7:00 p.m. – River City Writers Chapter meets at the SE Branch Regional Library to hear from freelancer Kay Day who will talk about making a living with the nonfiction market. Again, thanks to Darlene Myers for assuming the leadership role with the River City Writers. Questions about the meetings, contact Dar at dfm1973@comcast.net. Saturday, October 18 at 10:00 a.m. – Ancient City Writers monthly meeting at St. Augustine's downtown Main Library will host romantic suspense author Terri Ridgell, a familiar face on the First Coast. Terri has been director of the Amelia Island Book Festival for the past two years, and will have a timely topic for those of us attending the November Conference: Approaching an Editor or Agent. Terri will tell us how to take advantage of the few minutes you have to present yourself and your project in the best possible light. Tuesday, October 21 at 6:00 p.m. – The Amelia Island Writers Chapter holds their regular monthly meeting at the Florida House Inn's conference room in the historic section of Fernandina Beach. For information, contact Maggie deVries at maggie1948@yahoo.com. Friday, October 24 at 7:30 p.m. – Sara Gruen, author of the bestseller Water for Elephants, will speak at the Sawgrass Marriott Resort. Water for Elephants chronicles the life of Jac ob Jankowski, a depression-era veterinarian who runs away and joins a third-rate traveling circus. The New York Times Book Review wrote, "With a showman's expert timing, Gruen saves a terrific revelation for the final pages, transforming a glimpse of Americana into an enchanting fairy tale." 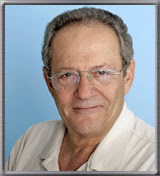 Gruen will be the guest of honor at a Patron's Reception at 6:00 p.m. and then speak at 7:30 p.m. on the 24th. Reception and presentations tickets are $60 for PV FOL members, $80 for non-members or $20 and $30 for the presentation only. They may be purchased at Seymour's Bookstore inside the Ponte Vedra Library or by calling 904-285-0073. Saturday, October 25 at 10:30 a.m. – The Ponte Vedra Writers Chapter present s Sandra McDonald, heralded science-fiction author and writing instructor to speak about Implied Author/Implied Reader. Sandra says, "There are two characters that every writer must consider, whether working in fiction or non-fiction or poetry. How do you define the difference between them and work them to your best advantage." Sandra is the author of The Outback Stars and the sequel, The Stars Down Under. She's an accomplished writer, teacher and much in demand as a speaker on the craft of writing. If you attended any of her workshops, either at writing conferences or at our FWA meetings, you won't want to miss her presentation. Congratulations to Terri Wright and Susan Siegmund for a successful Amelia Island Book Festival. The Festival returned to the site of the Episcopal Church and attracted a large and enthusiastic crowd. The Author's Luncheon turned out to be a big success as well with speaker Louis Bayard. Congratulations also to Dickie Anderson who takes over as director of the festival. North Florida Writers meet today at 2:00 p.m. at the Webb-Wesconnett Branch Library at the corner of 103rd and Harlow Blvd. The group will be critiquing manuscripts today. The First Coast Christian Writers Group meets every Thursday at 6:45 p.m. at Christ's Church, 6045 Greenland Road, in room 204. Contact Lorraine Haataia at dr.lorraine@comcast.net. The local chapter of SCBWI (Society of Children's Book Writers & Illustrators) has issued a December Picture Book Challenge to write a picture book to be started on December 1 and completed by December 31. Finished manuscripts may be sent to challenge coordinator Robyn Gioia at mystery4kids@hotmail.com. Janet Walter, the SCBWI Jacksonville coordinator and Robyn will sort the manuscripts and distribute them to critique groups. Their goal is to produce publishable picture books from the challenge. Contact either Robyn or Janet, jgwalter@comcast.net, for more details. Video book trailers are another weapon in the author's arsenal of promotion and marketing weapons. You can see them on author's websites or view hundreds of them on YouTube. They take many forms from talking heads to animation. In this act of BSP, Blatant Self-Promotion, I share with you my new trailer for Windrusher and the Trail of Fire. Check it out at YouTube and rate it if you're so inclined. Let me know what you think. One of the highlights of the year for all writers is the FWA Annual Conference, and this one promises to be one of the best yet. Celebrating our 7th anniversary, the conference has moved to the Lake Mary Marriott Resort, November 14 - 16. Packed with 33 workshops, panel discussions, signature events and the Royal Palm Literary Awards Banquet all for one very reasonable price, this is one conference not to be missed. Fourteen experienced agents, publishers and writing mentors from all over the country will help fill-out three tracks on the craft writing, marketing and promotion, and getting published. for all the details and to register. Remember you have to be an FWA member to attend, so hurry and renew your membership if you haven't done so already. You may do that online as well. Registration jumps to $299 on September 30, so register now and save a few bucks. shops on Friday to hear from 14 excellent presenters. Kudos to Dianne Ell and her committee for putting it all together. At the same time, dozens of authors descended upon St. Johns County schools for a day of author talks. The next day's events were just as impressive as more than 400 people came to listen to and question the 40 authors participating in panel discussions and book signings. Kathy Dvornick and her team of masochistic, sleep-deprived volunteers deserve a big thanks for launching what will surely become one of Florida's major book festivals. To the left is Jewell Kutzer in her persona of the Mayberry Mamma regaling an auditorium full of students at Fruit Cove Middle School. 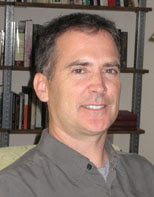 Jewell chaired the author selection committee this year. Again, congratulations to all the volunteers who contributed to making this such a big success. Authors are already lining up to be part of next year's festival. Much thanks and appreciation to Judy Connolly for her outstanding service to FWA during the past two years she led the River City Writers. Because of the press of h er teaching duties and the classes she's taking for another degree, Judy has stepped down from that position. Judy was invaluable as coordinator of the Lighthouse Book Awards this year, and we'll all miss her wise counsel and leadership. But fear not, Judy has already lined-up the perfect replacement in the person of Darlene Myers. Most of you probably know Darlene as she's been very active with FWA, assisting with the past two regional conferences, both as bookstore manager and event photographer. She assisted Judy with the Lighthouse Book Awards and also managed the book store for the Florida Heritage Book Festival. Aside from that, Dar (as her friends know her) was this year's president of the Jacksonville chapter of Sisters in Crime. 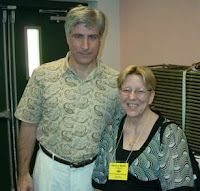 Here's Dar with author Steve Berry at the 2007 conference at the Ponte Vedra Library. She's the one on the right. Judy and Darlene will co-cost the October meeting, so plan to attend and welcome Darlene. They meet on the second Tuesday of the month at 7:00 p.m. at the SE Branch Regional Library located off Gate Parkway. The October 14 meeting features a talk by freelancer Kay Day who will share her knowledge of the freelance and non-fiction markets. The Ancient City Writers would normally meet this Saturday (third Saturday of the month) at the Main Library in downtown St. Augustine. But because of their heavy involvement in the Craft of Writing Workshops last weekend, they have decided to rest this weekend. For information on how to rest or future meetings, please contact Jeff Swesky at sweskys@comcast.net. The Ponte Vedra Writers Chapter will meet as planned next Saturday, September 27 at 10:30 a.m. at the Ponte Vedra Branch Library. We have a special treat as we welcome travel writer Lucy Beebe Tobias to regale us with tales of researching and writing her Florida travel book, 50 Great Walks in Florida. Lucy wore out two pair of shoes and covered 14,00 0 miles in writing her book for University Press of Florida. She'll share her research and writing secrets and tell more than a few tall tales in her show and tell talk, "The Writer as Road Warrior." 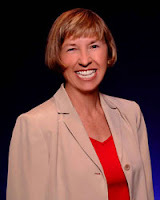 An award-winning journalist who worked for the New York Times Regional Group for 23 years, Lucy is the Authentic Florida Expert for VISIT FLORIDA. She says she'll tell of "life lessons learned on the bumpy roads of Florida" where she took over 1,200 photos in ten months. The Amelia Island Writers Chapter meets at 6:00 p.m. on the third Tuesday of the month at the Florida House Inn in downtown Fernandina Beach. 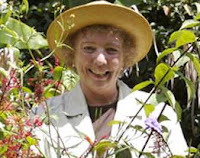 Maggie deVries is the group leader and she may be reached at maggie1948@yahoo.com. And speaking of Amelia Island, the Amelia Island Book Festival swings out on October 3 - 4 with 35 authors including Steve Berry, Louis Bayard, and Laura Moriarty. The event is returning to the campus of St. Peter's Episcopal Church at the corner of A1A and Centre Street. Friday's activities include the Authors in the Schools and Rock n' Roll Readings at Wicked Davey's Fancy Saloon at 7:00 p.m. That's a free event as are the author sessions on Saturday. Go to Amelia Island Book Festival for details. Much Ado About Books is seeking a chair for the Children's Chapter for the 2009 event. This person will lead the planning committee to assist the children's book authors in setting up and running their booths. This means organizing a group of volunteers to help with each booth. If interested, contact Terry Algire at malgire@coj.net or Valerie Pickett at pickett@isp.com. Louisiana author Pamela Binnings Ewen will be swinging through our region pro moting her new book, The Moon in the Mango Tree. Set during the Roaring 20s, the novel tells the story of a beautiful Philadelphia woman torn between love for her husband and her desire for a career in music. Based upon the true-life experiences of the author's grandmother, The Moon in the Mango Tree takes readers from the streets of Philadelphia to the jungles of Siam. Ewen will be speaking at the Ponte Vedra Library's Book Talk Cafe program this Monday, September 22 at 6:30 p.m. 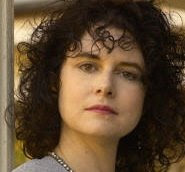 The author, by-the-way, is a former Houston attorney who happens to be part of a family of successful writers, including her cousin James Lee Burke, and Andre Dubus. Her talk is free and open to the public. Finally, have you signed up for the new FWA Network yet? This is a new member-only social networking site similar to MySpace and Facebook, but for members of Florida Writers Association. It's feature-rich and allows members unprecedented opportunity to connect with one another and share news and views, while supporting each other and promoting your achievements. This is the place for that BSP (Blatant Self Promotion) and posting photos, forum discussions, and add friends to your personal page. There's a lot more, so if you're an FWA member you should take advantage of this new benefit by registering at the FWA Network. That's it for now. We'll see you on the book shelves. L ast year I was surprised when we received over 90 submissions for our first Lighthouse Book Awards Competition. This year I'm flabbergasted. We ended up with 120 entries stuffing coordinator Judy Connolly's mail box (thankfully, not all at once). Judy reports that we received entries from all over the map. All of them are now residing with our preliminary judges—a huge THANK YOU to all who "volunteered" to be a judge this year—and the finalists will be sent on to the acquistion editors sometime next month. Of course, the big announcement of the winners will be made during the May 17 conference at the Players Senior Community Center in Ponte Vedra Beach. It's actually in Palm Valley, but PVB has a nice ring to it, don't you think? Mark your calendars for that date as you'll want to be there to not only hear first-hand who the winning authors are, but enjoy a first rate writer's conference. 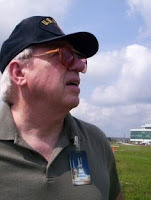 We already have several speakers lined up including award-winning science fiction author Jack McDevitt. More on the conference schedule in my next posting. There's so much going on of interest to writers that you could go from one m eeting to another, one conference to another, and never have to write a word. But all things in moderation. And while you may have sympathy with the writer's strike (thank goodness, there were more LOST episodes in the can for the new season to begin), don't go on a strike of your own. Remember what Gore Vidal said, "Write something every day, even if it's a suicide note." Pick and choose how you spend those precious moments of each day, but keep writing. River City Writers meet on the second Tuesday of the month, February 12 at 7PM at the SE Branch Library. This month's speaker is acclaimed poet Teri Youmans Grimm. A recipient of a Nebraska Arts Council Fellowship, Teri received her MFA from Vermont College and was a former instructor in the Writer’s Workshop at the University of Nebraska at Omaha. Teri mined her family memories and southern ancestry to create a highly-acclaimed collection of poems entitled Dirt Eaters, which has been called "a mystical journey back through her ancestry." Contact Judy Connolly for more information – judy.connolly@comcast.net. Ancient City Writers meet on Saturday, February 16 at 10AM at the St. Augustine Main Library. Join Elizabeth Sinclair as she discusses a story's Inciting Incident, the proper hook and the story question that will keep editors, agents and readers turning your pages. Elizabeth sold her first romance to Silhouette Intimate Moments in 1993. Since then her books have sold in 17 countries and been translated into 7 languages. For more details contact Jeff Swesky at sweskys@comcast.net. Amelia Island Writers meet on the third Tuesday of the month, February 19 at 6PM at the Florida House Inn in Fernandina Beach. Novelist Terri Ridgell will discuss one of the key rules of fiction writing — "Show don't tell." Terri is also the executive director of the Amelia Island Book Festival, coming October 3 - 5. There are more changes in the works for this growing festival. See the announcements below for a more on AIBF. Contact Maggie de Vries for more details at maggie1948@yahoo.com. Ponte Vedra Writers meet the fourth Saturday of the month, February 23, at 10AM at the Ponte Vedra Library. This month, Merrillee Whren, the award-winning author of six inspirational romance novels, will address the challenges of writing for the inspirational market. Inspirational romance is a growing market, according to Merrillee, and is seeking new authors in almost every sub-genre. She will discuss different inspirational markets and publishers and take questions about writing in general. You can contact me for more information, vicdig@comcast.net. The Ancient City Chapter of FWA and the Friends of the St. Johns County Main Library present the second in their series of panel discussions titled The Writer's Journey. A Book from the Heart is a discussion of romance and women's fiction in celebration of Valentine's Day and is set for Saturday, February 9 at 1PM at the Main Library in downtown St. Augustine. Panelists include Shannon Greenland, Tracy Montoya, Elizabeth Sinclair, Heather Waters, and Delores J. Wilson. Nancy Quatrano will moderate. The Amelia Island Book Festival, October 3-5, is seeking authors for the 2008 festival. For an author to be considered, the festival must receive a copy of a book, author bio and suggestions or proposals for a talk or workshop. Submissions must be in by March 1, 2008. Please mail books and materials to: Amelia Island Book Festival, P.O. Box 824, Amelia Island, FL 32035. For more information, visit www.bookisland.org, e-mail the Festival planners at info@bookisland.org or call the information line at (904) 491-8176. Much Ado About Books is scheduled for April 25-26 with Saturday's activites at the Prime Osborn Convention Center. Key authors scheduled include Carl Hiaasen, R. L. Stine, William Dietrich, Steve Berry, Tim Dorsey, and many more. Congratulations to local author Rita Malie who has been added to the line-up with her book, Goodbye America. For more information on MAAB, go to http://www.muchadoaboutbooks.com/. The Society of Children's Book Writers & Illustrators (SCBWI) is meeting on Saturday, February 16 from 1-3PM, at the Southeast Regional Library. They will cover highlights of Miami and NYC Regional Conferences earlier this year, as well as a discussion of agents. For more information, contact Janet Walter at jgwalter@comcast.net. Investigative journalist Susan Thomas has written a compelling book examining how marketers exploit infants and toddlers and the broad, often shocking, impact of that exploitation on our society at large. Formerly a senior editor at U.S. News & World Report and a co-host of public television’s Digital Duo, Thomas and will be at the Ponte Vedra Library on February 19 and 20 to discuss the findings in her hard-hitting book, Buy, Buy Baby. Presented by the Friends of the Library, she will speak first on Tuesday, February 19 at 6:30 p.m. in a presentation aimed at adults. The next morning, Wednesday, February 20 at 10:30 a.m., she will speak to parents and their children. In her book, Thomas explores the notion that infants and toddlers can be made smarter with exposure to the right products and TV programs. Toy and media corporations manipulate the insecurities of parents to sell their products. In Buy, Buy Baby (Houghton Mifflin) Thomas reveals that there is no evidence that any of these products provides any educational benefit at all. The programs are free and open to the public. The Friends of the Ponte Vedra Library resume their monthly Book Talk Cafe programs this month with the opportunity to meet and hear Bob Morris, author of three Caribbean-based mysteries, including BERMUDA SCHWARTZ, Monday, February 25 at 6:30 p.m. in the FOL Community Room. Future meetings will present talks by Charles Martin, Michael Wiley, Pat Duggins, and Solon Timothy Woodward. There's a new book festival in the works in the nation's oldest city. The Florida Heritage Book Festival will celebrate Florida authors and those who write about Florida. It's scheduled for September 13 & 13 of this year and will be held at the Casa Monica Hotel and Flagler College. More next time.